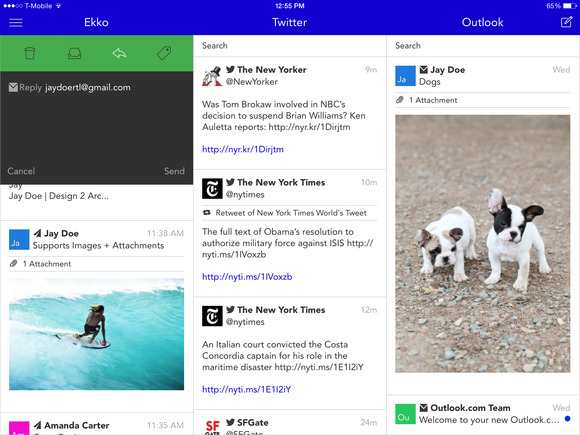 Imagine if you could check one app to see all of your messages, emails, and social streams in one spot. Imagine if that app added a layer of privacy on top of every account, so you could send messages and search across every service without the app spying on your activity. That app is here—but it’ll cost you. Ekko adds a layer of privacy and ease on top of the services you use daily. Ekko is a premium umbrella service that unifies your most-used social networks and email programs in an easy-to-use interface. For your monthly subscription of $5 a month (or $50 per year), you also have access to security controls that can be applied to any message sent from any of your linked accounts. You can add password protection to your messages or set them to self-destruct after a certain amount of time or number of views. Recipients view your messages in a secure browsing session. 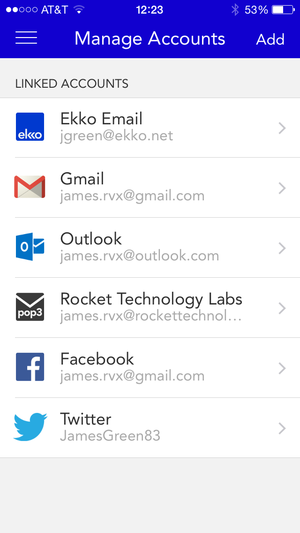 The best part: You can search every account directly from Ekko instead of scouring your messages or emails within each app. Ekko can also pull in search results from Google, Bing, Facebook, Twitter, and Duck Duck Go. The web platform and iOS app currently support iCloud, Exchange, Gmail, Outlook, AOL, Yahoo, POP3, and IMAP email accounts. On the social networking front, Ekko supports Facebook and Twitter, but is working to integrate Instagram, Pinterest, and LinkedIn. Pocket, Evernote, and Box are potential additions down the road. You can link an unlimited number of accounts to Ekko and manage them all in one place, a privilege that might just be worth paying for.